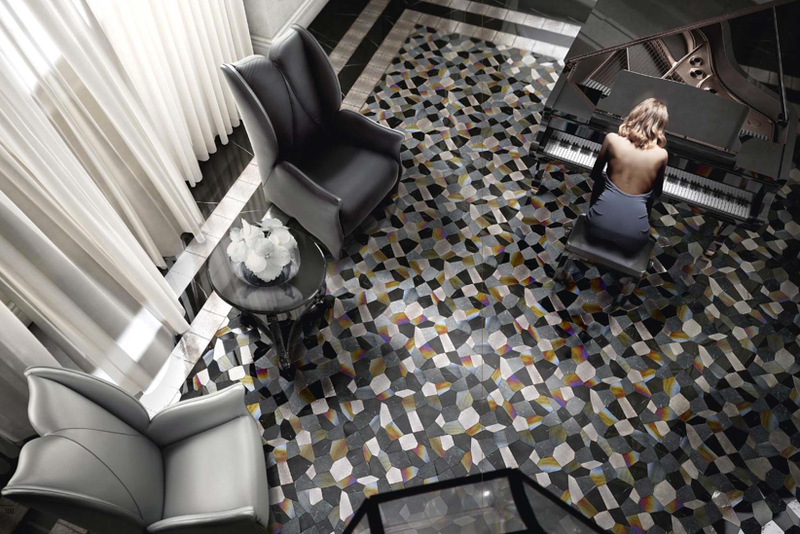 This stunning floor is an example of the Caleidos Platinum selection from SICIS Art Mosaic Factory’s SICISTONE Collection. For SICIS, surfaces exist to be transformed into beauty and art forms that represent the signs and languages of our time. It’s the mosaic tessera that act as the interpreters, joined together in infinite chromatic and decorative combinations, shaping the outlines of architectural and living spaces.